These words were spoken by a 17-year-old Palestinian boy in 2001. Ismail was tortured for several hours and after he was charged with throwing stones at Israeli soldiers he ended up spending 7 months in an Israeli military prison. Ismail is one of thousands of Palestinian children who have spent time in Israeli prisons. All of these children face some form of torture or abuse. They are accused of political offences and resisting Israeli occupation, most often throwing stones. Most will spend more than 6 months and sometimes years in Israeli prisons were they are denied contact with their families and separated from their communities. Today, there are approximately 350 Palestinian children being held as political prisoners. They form one part of around 8000 Palestinians in Israeli jails including 120 women prisoners. This is a brief extract from the youngest Palestinian prisoner, Rakan Nasrat. How old is Rakan? He is 12 years old. He was arrested two years ago on 29 September – ironically the anniversary of the second Palestinian uprising. Rakan was arrested at a checkpoint near Bethlehem and taken to an Israeli settlement. He was threatened with electric shocks while under interrogation and then placed for 12 days in solitary confinement in a small room measuring 2m by 2m. He was beaten and sexually assaulted. He tried to commit suicide four times including one time where he was hospitalized for 2 days. Or we can take the case of a 15 year old Palestinian girl, Riham Musa. Riham was shot three times at an Israeli checkpoint near Tulkarem. She was taken to an Israeli hospital where she was operated on and part of her large intestine removed. She had both her hands and legs shackled to a hospital bed for two weeks, prevented from seeing any vistors and guarded 24 hours a day by Israeli soldiers. She was to spend 7 months in prison. Of the eight thousand Palestinian prisoners around 1000 are being held under administrative detention orders. This means they have never been charged or faced trial. They are merely held in prison under administrative detention which can be renewed indefinitely every 6 months. All Palestinians living in the West Bank and Gaza Strip are subject to Israeli military law. They are arrested, tried and sentenced on the basis of these military orders. Military Order no. 101 states allows for a maximum ten year sentence for any Palestinian raising a flag or other symbols, publishing a political leaflet or picture or conducting a political meeting with more than 10 people without permission from the Israeli military commander. These military orders do not apply to Israeli settlers also living in the West Bank and Gaza Strip. This is one small example of Israel’s apartheid system. Every Palestinian family has a friend or relative in prison. Every Palestinian who is arrested goes through a similar experience of torture or abuse. 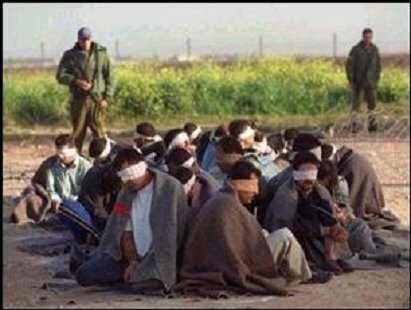 Every Palestinian detainee is tried before a military court where the judge and prosecutor is appointed by the Israeli military. These facts indicate one thing. The arrest of Palestinians is not a rare act reserved for so-called “security threats”. The abuse detainees face is not random or the result of poor training. Rather, Israel’s detention policies and the use of torture form a systematic and conscious state policy. It is integral part of a colonial system designed to intimidate, threaten and control the indigenous population of Palestine. It is a system designed to quash resistance to occupation. The Israeli occupation needs the Israeli prison system. Put simply, the occupation couldn’t continue without torture, without arbitrary arrest, without its military courts. 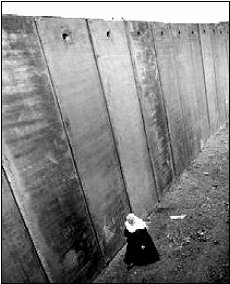 The killing of Palestinians by Israel’s military, the curfews, closure and starvation policies against the civilian population, the Apartheid wall and checkpoints all require one thing – a system of control designed to intimidate and destroy the lives of those who resist these policies. The arrest and abuse against Palestinian children is one part of this system. Israel attempts through these policies to tell the population that no-one, not even the weakest section of the Palestinian population is beyond their reach. Anyone can be arrested. Anyone can be tortured. Anyone can be separated from their families for years. Israel’s detention policies are not unique. Arrest without charge or trial is all too familiar for many living in North America today. Deportation is an experience that many understand too well. The use of torture, threats and intimidation against detainees is not restricted to Israel. Finally, a prison system designed to control and divide a population is an every day fact for this continent’s native population. These practices are possible only because of the financial, military and diplomatic support of governments like the US and Canada. Western governments know all too well these practices go on. They are, after all, the tried and true methods of colonial repression. The worsening situation of Palestinian prisoners and detainees has been widely documented by many of the Palestinian human rights organizations as well as international and UN bodies. Israel continues to practice torture and other forms of mistreatment against Palestinian detainees including severe beatings, being tied in painful and contorted positions for long periods of time, psychological abuse, long periods of solitary confinement, and pressure to collaborate with the occupying forces. Inside Israeli prisons, Palestinian prisoners frequently report attacks by prison guards including the firing of tear gas inside prisoner’s cells, beatings, denial of food and medical treatment and long periods of solitary confinement. Women prisoners report that they have been stripped naked by prison guards and shackled spread-eagled to prison beds in solitary confinement. Despite these grave violations of prisoner rights, the International Committee of the Red Cross (ICRC) mission in the area only carries out visits to central Palestinian prisons every six months. The ICRC has failed to adequately address the concerns of Palestinian prisoners during their visits, including the provision of urgently needed clothes, shoes and other personal needs. April 17th is the International Day in Solidarity with Palestinian Political Prisoners. It is marked by demonstrations through out the Occupied Territories with families demanding the release of prisoners. Many of these demonstrations take place outside the offices of the International Committee of the Red Cross. Palestinian Prisoner’s Family Committees are challenging the actions of the ICRC in the occupied territories. In most Palestinian cities, weekly vigils are held outside ICRC offices urging the ICRC to fully investigate the conditions of Palestinian prisoners. There are very specific demands and procedural matters that the family committees insist on. For example, the visiting procedures of the ICRC to Israeli prisons are extremely problematic. It appears from reports from Palestinian prisoners as well as prisoner support organizations that the ICRC has quietly accepted Israeli restrictions on which prisoners they can visit. Furthermore, the ICRC visits take place in official ‘visiting areas’ and do not include any kind of monitoring of the prison and detention conditions inside the prison/detention centre as a whole (through, for example, walk-throughs of the general prison areas). The family committees demand that ICRC follow this walk-through procedure as it would be a simple and effective way of placing pressure on the Israeli prison administration to improve the conditions in these prisons. 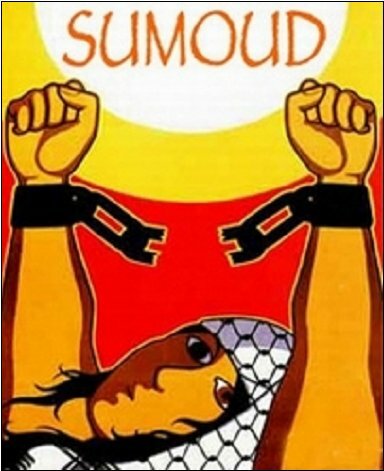 This year Sumoud Political Prisoner Solidarity Group is working on two projects to ensure that the struggle of Palestinian political prisoners is brought up within the Palestine solidarity movement and the prison abolition movement in North America. First, we have organized an eight-city speaking tour of ex-Palestinian political prisoners and lawyers from the occupied territories. The main objectives of the tour are: 1. To raise awareness and solidarity around the struggle of Palestinian political prisoners inside Israeli occupation jails. 2. 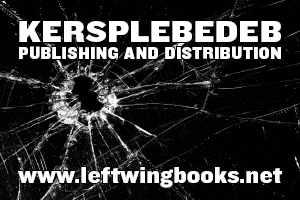 To connect the struggle of Palestinian political prisoners to struggles against the prison industrial complex in North America. Second, following a call from Palestinian Prisoner family committees to focus on the ICRC – we have called for a day of action on April 18th (the Monday after International Day in Solidarity with Palestinian Political Prisoners) outside ICRC offices.